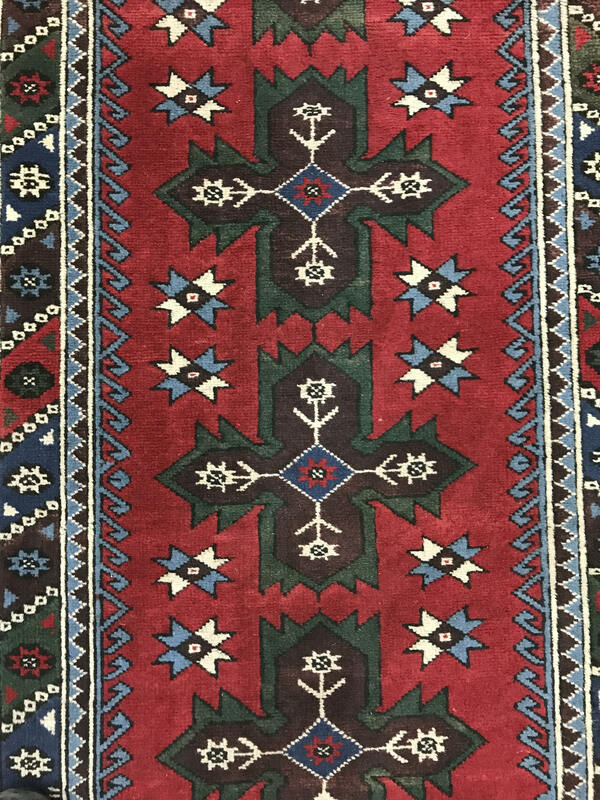 This marvelous Oriental rug is a 2'7" x 9' Turkish Kazak, circa 1990s. 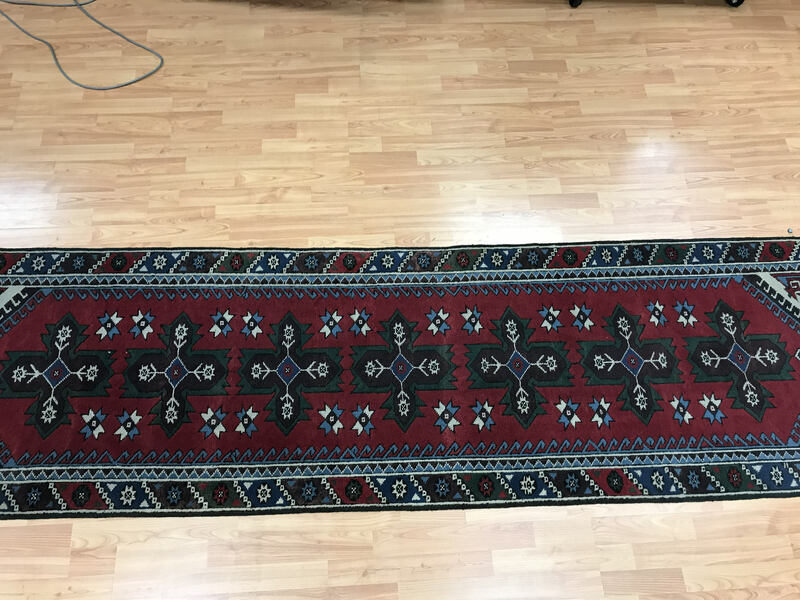 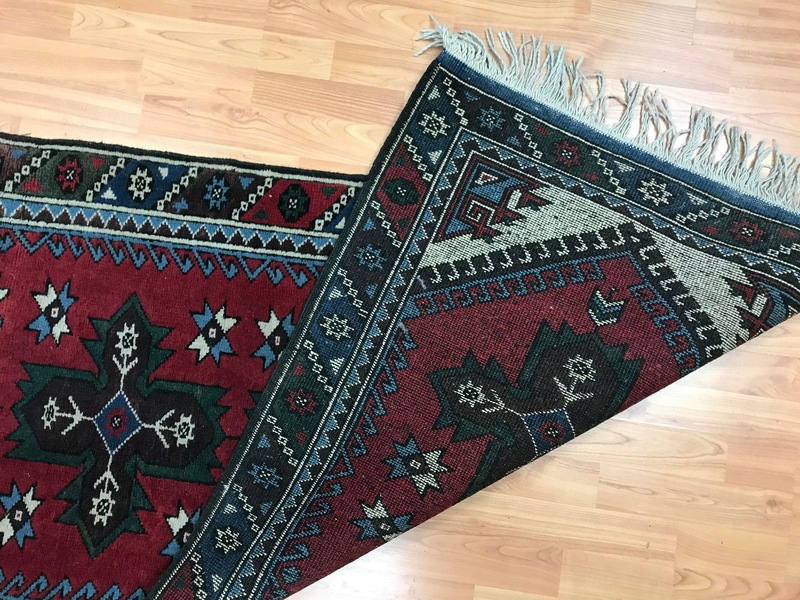 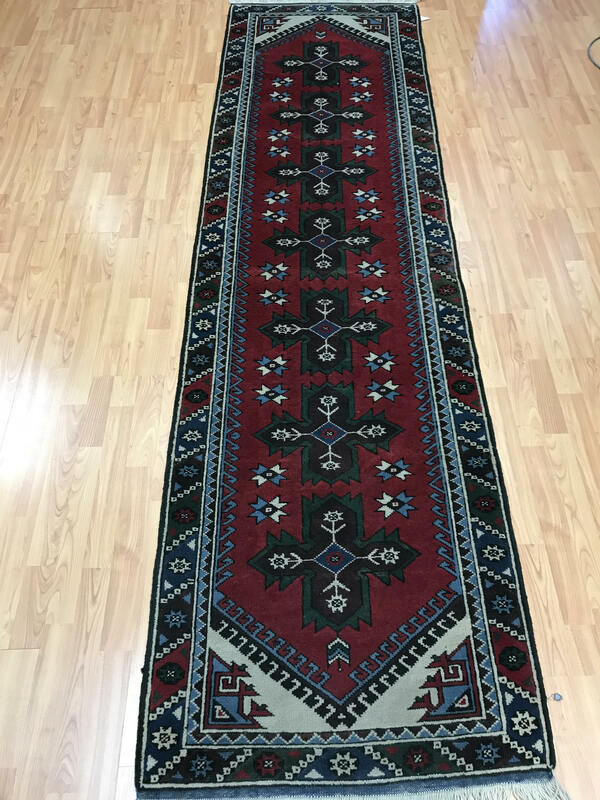 This hand knotted Turkish Kazak is made with 100% wool using vegetable dye, has a full pile and is in good condition. 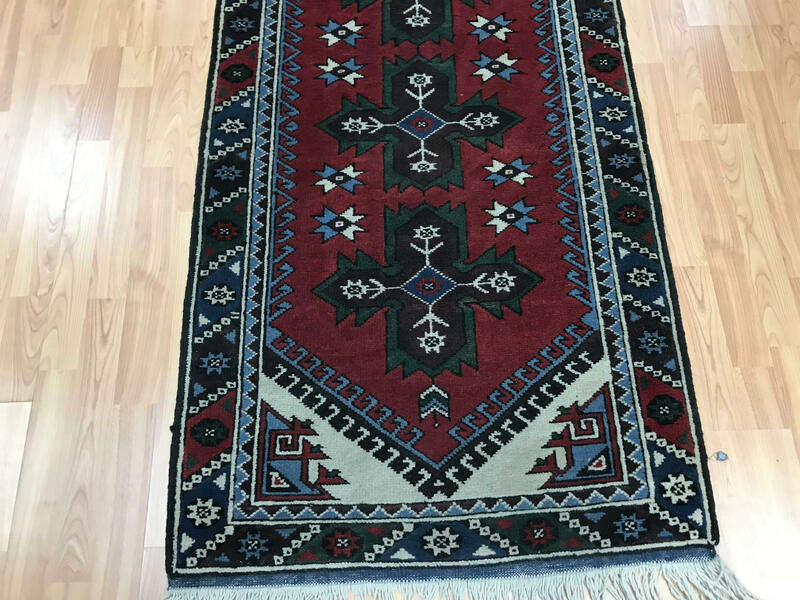 Kazak rugs are mainly woven by the people of Pakistan, Armenia, and Afghanistan who are influenced by the Caucasian designs found in old rugs from Russia and the USSR region as well as those found in rugs from the northern parts of the Persian Empire. 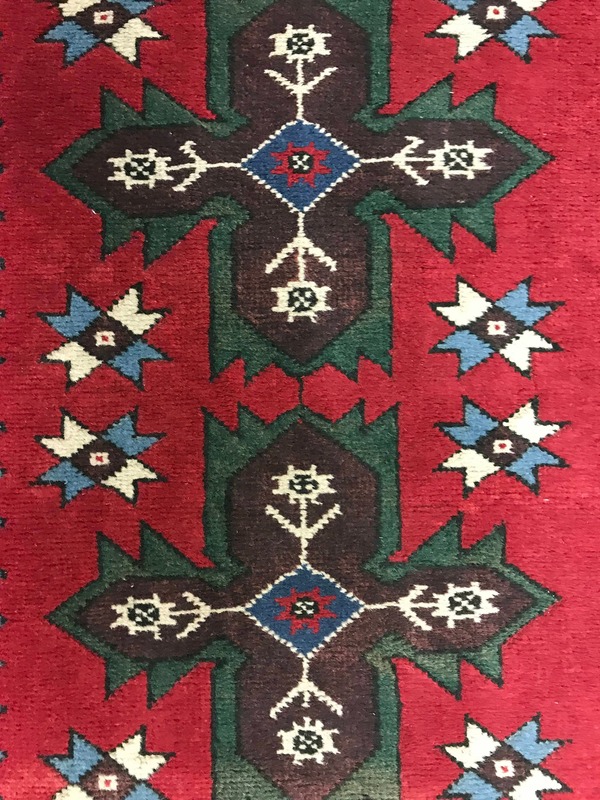 Typically geometric in pattern, Kazaks tend to be red, yellow or gold and blue in color. 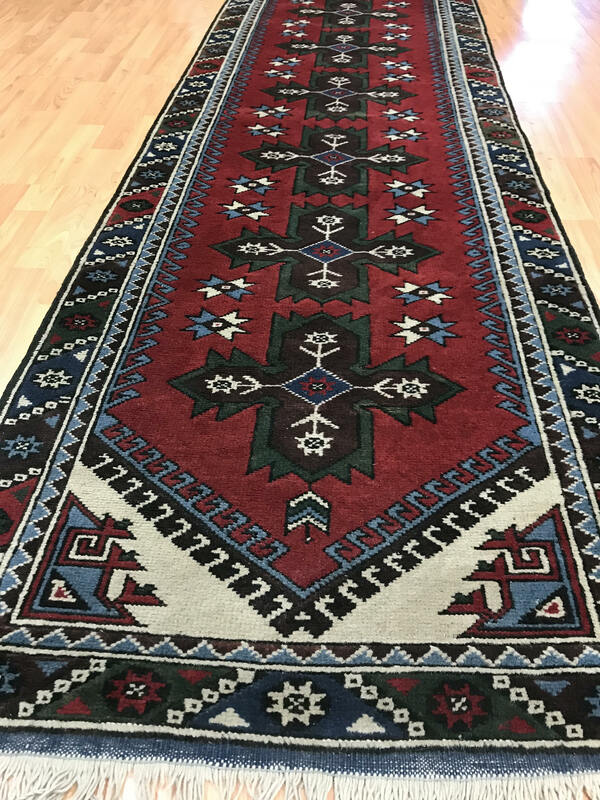 Designs can include animals, flowers and medallions similar to tribal rugs but are almost always implemented with straight lines.